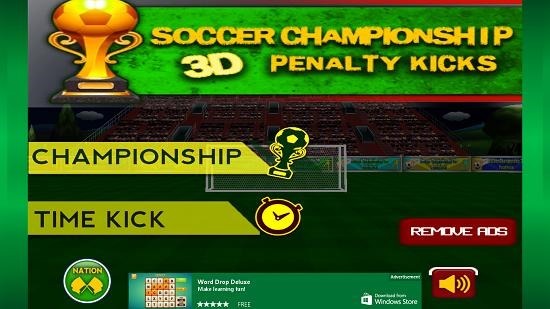 Soccer Championship 3D is a free football game for Windows 8 and 8.1. 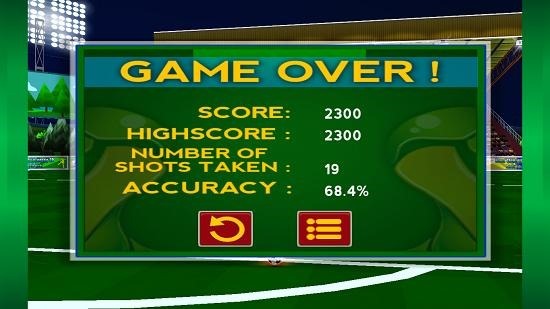 The game is based on free kicks and penalty kick format. When you run the game you get two options – either Championship or Time Kick. The Time kick format gives you a limited time frame in which you have to fire as many shots as possible, and in the Championship mode you have to pick your own team and then shoot when it’s your turn to penalty kick and defend when it’s the opponent’s turn. 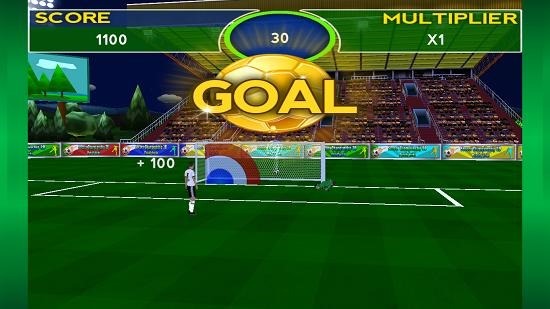 The main menu of Soccer Championship 3D gives you the option to choose from two different modes – Championship or Time Kick. When you have made your choice, you will be taken to gameplay screen. I chose Time Kick mode in the screen below. You get 60 seconds to shoot as many goals as you can to goal post. You have to hold and drag your finger to the goal net, or click and drag your mouse. 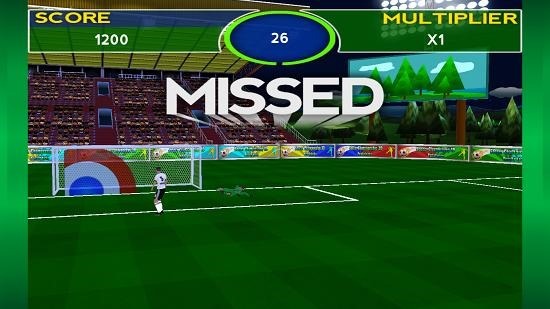 If you misfire, you will miss the goal and a prompt will appear on your screen informing you of the same. If you score a goal, you will be informed of that as well via big prompt. You can see your score, seconds timer and multiplier all ticking away at the top of the screen. When the timer ends, you will be able to see your score stats. Similarly, you can play the Championship mode with same controls. 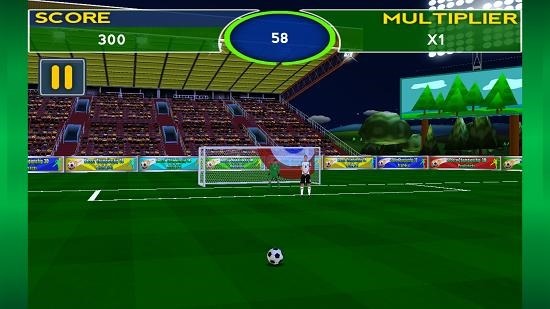 Soccer Championship 3D is a great football game for Windows 8 and 8.1 devices. You can grab it from below.